ReelFlyRod, the World's Premier Fly Shop! Of all places, ReelFlyRod has grown and flourished in Dayton, Ohio, to become one of the largest and most respected fly shops in the USA. But the best part is, we’ve built a valuable resource for fly fishers not just locally, but across the United States and in every corner of the world! You will not find a better team than the 7 guys that make up the ReelFlyRod Pro Staff. We work hard together, we fish hard together. It doesn't matter who you speak to at ReelFlyRod, you get an expert to help you with anything you need. Our success is built on going well above every customer’s expectations and beyond what other shops are willing or able to do. We are eager to share our 60+ years of combined fly fishing experience with you, and help shorten the learning curve, whether you’re brand new to the sport, or a hard-core angler. We can outfit you with the best high-performance gear, at any price point, whether you are chasing tarpon, bonefish, peacock bass, trout, steelhead, salmon, smallmouth and or largemouth bass…even billfish and blue fins! Visiting the fly shop is definitely worth the trip when you’re in town or just passing through. The shop is a lively place with a cool vibe in a lodge-type setting, and we have more gear in-stock than you’ve ever seen in a fly shop! Expect to be greeted by Daisy or Bear, the shop dogs, and one of our super gear-heads: Parker, Kyle, Joey, Jacob, Ryan, or John. Then step out back to our grass casting range and cast all the latest technologies in fly rods. There’s cold beer in the fridge, plenty of laughter, and top-notch gear everywhere you look. We offer both private and group casting lessons, private on-water instruction, and winter fly-tying “Beers & Bobbins” sessions. In the community, ReelFlyRod supports numerous local fundraisers, charities, and non-profits, works closely with local fly fishing clubs, partners with Five Rivers Metroparks to host free “Try Fly Fishing” events, is a member of AFFTA, and attends the industry IFTD convention each year. We also feature local guided trips, both half and full day, for smallmouth bass, trout, and instruction on the southern Ohio river systems. We want you to choose ReelFlyRod for all your fly fishing needs. We really want you to tell all your friends about us. To make these two things happen, we will do whatever it takes to make this the easiest, fastest, most amazing online experience you’ve ever had before! You simply will not receive better, first-class customer service than you will at ReelFlyRod. We ship orders with lightning speed (90% within 1 business day), will resolve any issue immediately to your complete satisfaction, and your message will receive a fast reply, even on evenings and weekends. You will always receive this same amazing service, whether ordering online or visiting the fly shop. Returns are never a problem. New rod doesn’t suit your casting style? Send it back. Jacket doesn’t fit the way you thought? Send it back. We’ll exchange it or provide a full refund, whatever makes you happy! If there’s something we can do better, we want to know about it. ReelFlyRod is a small, independent fly shop of 7 “fishy” guys whose collective mission is to help you maximize your enjoyment of your time on the water! It's been 12 years now, and ReelFlyRod has grown into one of the top dealers in the USA for every major brand we carry. We've made a lot of great friends along the way, and we always have an excuse to float any of the 5 rivers that flow through the Miami Valley in our Stealthcraft Superfly. This has been a fun ride for us, and we are excited to to share our fly fishing knowledge and passion with you! We will continue to work hard to build a healthy, growing, educated fly fishing community for everyone to enjoy, while working to protect our natural resources and environment. A huge thank you for all your loyal support over the years, your friendships, and sending your friends our way! You're the reason we're here. In Dayton, Ohio, of all places. See you on the water! Todd has more than 40 years experience fly fishing and grew up fishing for trout, steelhead, and salmon in northern Michigan, which of course ultimately led to chasing bonefish, permit and tarpon in the Florida Keys and elsewhere. We still think he is still the best Salmon fisherman in the Midwest! Todd is a former financial executive that left the corporate world behind to start ReelFlyRod in 2006. ReelFlyRod is founded on the principle of taking excellent care of every customer, in a friendly, knowledge-filled environment, while going above and beyond each customer's expectations. We welcome those new to fly fishing and generously share our wealth of knowledge to help build a healthy fly fishing industry for everyone to enjoy. You may reach Todd directly at todd@reelflyrod.com. 25+ years Growing up fishing the banks around Ohio chasing smallmouth, browns, and silver chrome, his knowledge and expertise of the local area is far and few between. 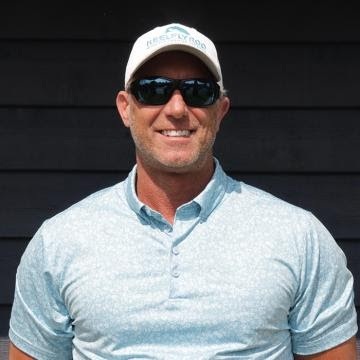 He has lived and fished extensively in Ohio, has family along the Delray coast of Florida, and worked out West as a professional guide in the Big Sky Country. We say FISHABILITY. 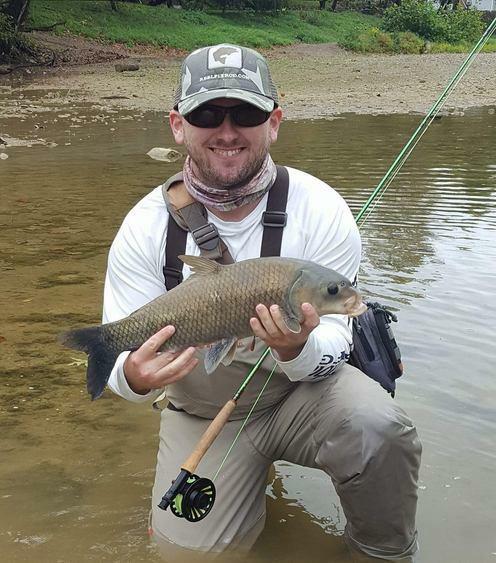 Parker graduated college as a Wildlife Biologist, Masters in Administration, where he worked for a decade as a Biologist, before joining ReelFlyRod. Parker and his father have put a fly in 50 states and many provinces in the North and countries to the South. Parker is the General Manager of ReelFlyRod and Head Guide/Instructor. As an obsessed gear head, he is always testing out the latest gear. You can reach Parker at parker@reelflyrod.com. Kyle has been an integral part of the ReelFlyRod.com company since the inception. We call him "Father" or the "Shipping Manager!! Whether it is making sure your order arrives on time, or placing an order with us, Kyle has you covered. If Kyle is not on the river, he is taking his boy fishing, or playing soccer in the local area. We are very thankful to have Kyle for so many years. If should have any questions about our products or general questions, please email him at kyle@reelflyrod.com. Jacob grew up locally chasing the warm water species. If want to dry fly for smallmouth, he may know the perfect spider or grasshopper. If there is a smallmouth, largemouth, carp, or musky, you better believe Jacob has found a way to catch it. An Oarsman, he is our most knowledgable angler while fishing from a Paddle Board or Kayak! If should have any questions about our products or general questions, please email him at jacob@reelflyrod.com. When he is not working at the shop, he is getting serious about chasing smallmouth and trout. OK...most any fish. We he is not fishing, he is rowing our Stealthcraft in new areas where flies have never been seen. Joey is an expert is most things outdoors, including fly fishing, hiking, and camping. If you have questions about targeting certain species or anything related to gear, Joey is your guy. You can reach Joey at joey@reelflyrod.com. We call Ryan the 'Greenhorn,' but only because we've all been tossing flies around the country for at least a decade. Ryan is on the water more days than we can count, toying with all the latest gear, and landing fish that make the rest of us jealous. If you are fishing warm water species, this guy knows his stuff. You can reach Ryan at ryan@reelflyrod.com.